Those who read today's report of Dyson Racing testing at Road Atlanta will have seen Kevin Hinton's photographs of the newly-liveried #20 Lola. With the start of the 2006 season, the team has updated its "look." 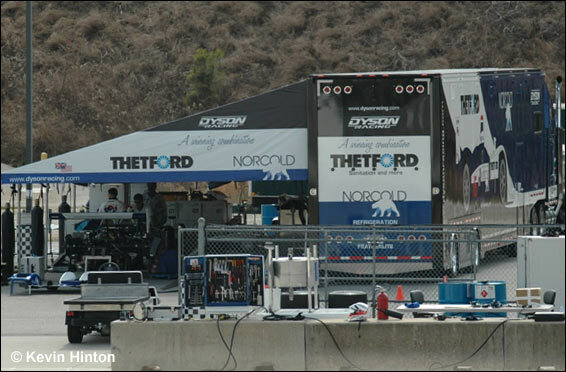 Along with the car’s livery, team apparel and even the Dyson transporter have had a make-over. More can be seen, and will soon be available for purchase, at the team's website here.